Game Ready with active compression delivers cold therapy that works faster, penetrates deeper and lasts longer than other treatment modalities. The cold compression wraps incorporate an active temperature exchange unit that maintains cool temperature and a pneumatic compression. 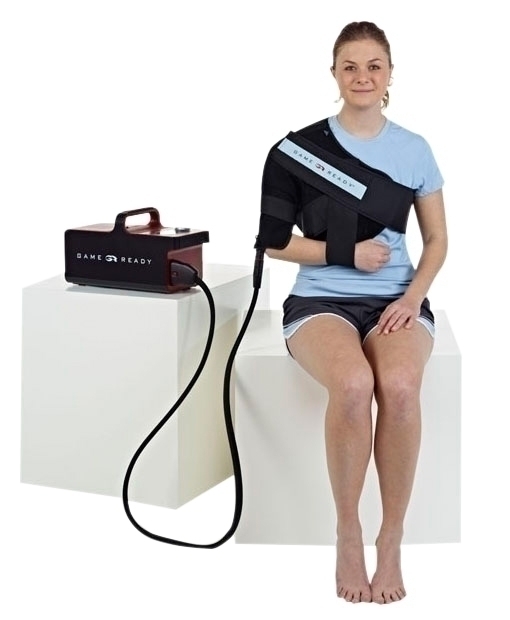 The system has a control unit and full range of ergonomic wraps for all body parts. Dimensions: 12" x 1" x 10"